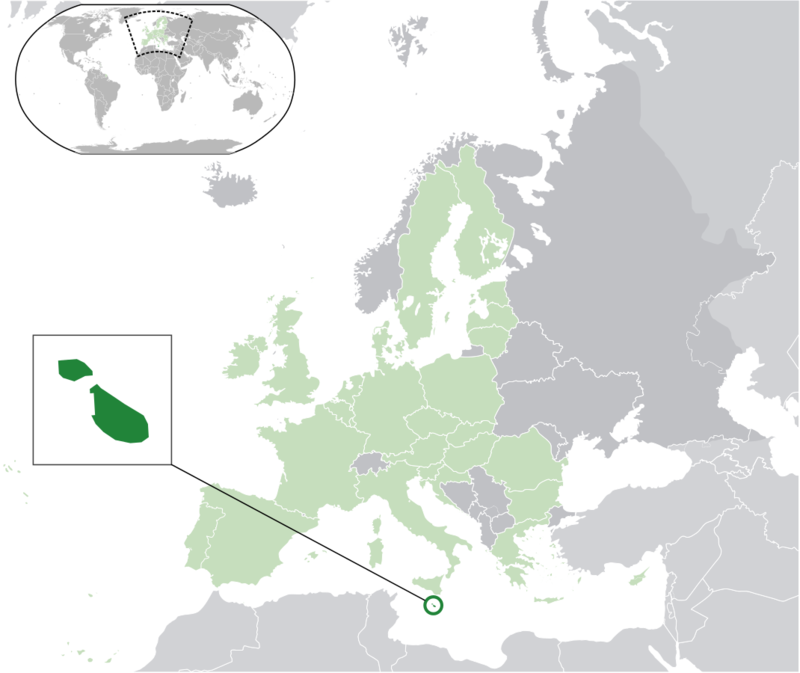 Map showing countries in the European Union (light green) and the location of Malta. Author: Nuclear Vacuum. Commons. The Maltese archipelago (group of islands) is situated in the Mediterranean Sea, 90km (56 miles) south of the Italian island of Sicily. The three main islands that make up the group are Malta, Gozo and Comino. There are also three small, uninhabited islands. The many rocky coves around its coast form deep, natural harbours, which have featured In Malta’s history since it was first inhabited. Today the island group forms the most densely populated country in Europe. The first people arrived in Malta around 4000 BC – Stone-age farmers from Sicily, who brought their animals, pottery, bags of seed and flint with them. Many hundreds of years later, around 1800 BC, they built wonderful temples on the islands, the remains of which can still be seen today, along with many examples of their sculpture and carved wall decorations: Soon after this time, new invaders arrived and the temple builders disappeared – either through extermination or slavery. 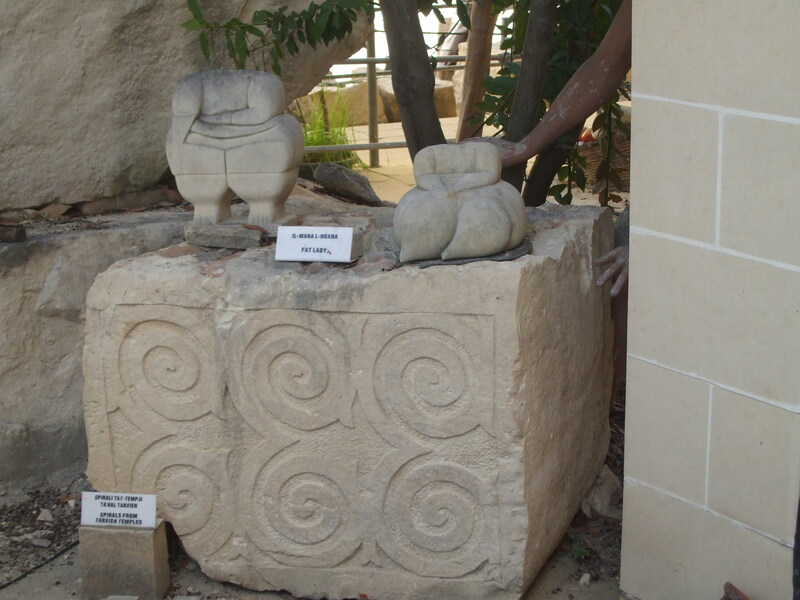 And so Malta’s story continues, with a number of different invasions over the years – through the Bronze and Iron Ages, and the Phoenician (800 BC) and Roman invasions. 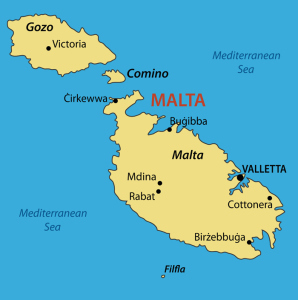 It was the Romans who named the island we call Malta today, ‘Melita’. The name is remembered on the little blue buses, occasionally seen today. The photo of the one above was taken last year when we were in Sliema. The name ‘Melita’ means ‘honey’, and there has been much discussion as to why this name was given to the island. 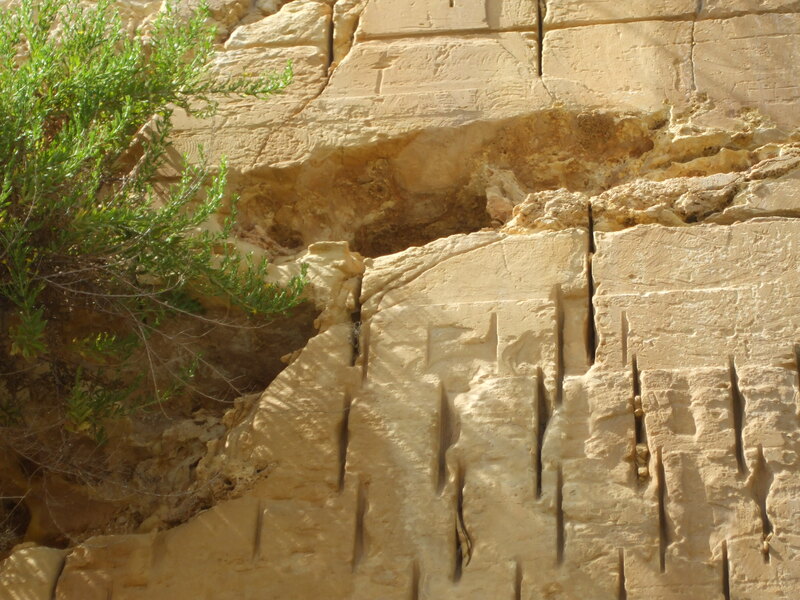 My first though was that it was because of the wonderful honey-coloured rock which comprises most of Malta. Very few buildings are constructed of any other stone, and from the air the island looks decidedly yellow – especially after the dry summers, when vegetation is well parched. Another theory regarding the name is probably more likely. The island was covered in wild thyme – and bees just love thyme. Being the enterprising people they were, the Romans made good use of that fact and kept lots of bees. There is evidence for their hives in various locations, and they probably considered this fertile and beautiful island their little ‘honey-pot’. The Romans built their capital city where the modern Rabat/Mdina are situated. They called that city, Melita, too. Since Roman times, Malta has seen Byzantine rule, followed by that of the Arabs who invaded in 870. Arab rule continued until the Normans arrived, and in about 1298, the then homeless Knights of St. John (also known as the Knights Hospitallers) made the island their new home – a home that was to last until the 18th century. 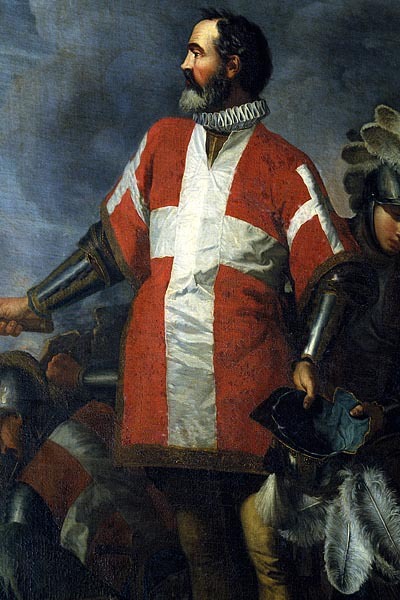 They made improvements in Malta’s defences, but it was not until the attacks by the Ottoman Turks started in 1547 that defences were strengthened in earnest. Life was not easy for the people under the Order of St. John; rules were strict and punishments extreme. But by the latter part of the 18th century, the Order started to deteriorate and when Napoleon invaded, the last Grand Master surrendered without resistance. French rule lasted until the British took command in 1814. 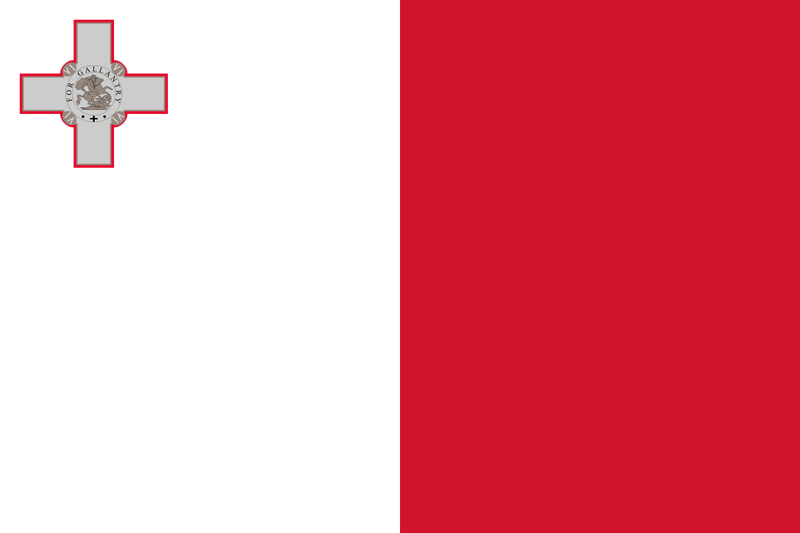 Complete independence for Malta came in 1964, although self-government had already been granted in 1921. 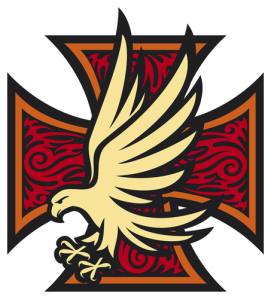 I couldn’t write about Malta’s history without saying a little about the island’s amazing bravery during WW2, for which it was awarded the George Cross, Britain’s highest civilian honour for bravery. As it had done throughout history, Malta’s location again meant it played central stage – and, as such, the Islands ended the war completely devastated. Malta holds the record for the heaviest, sustained bombing attack:154 days and nights and 6,700 tons of bombs. In 1947, the Islands were granted £30 million to help rebuild. But it took many years and further restructuring once the British forces left Malta completely in 1979, to rebuild the economy. 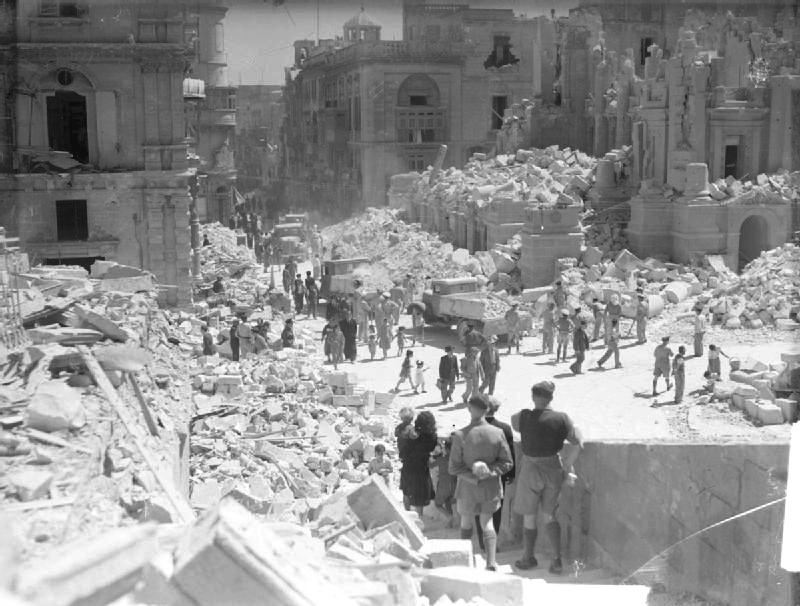 Bomb damaged Kingsway (now Republic Street) during the Siege of Malta in 1942. Author: Russell J.E. (Lt.) Royal Navy, official photographer. Public Domain. The Maltese islands offer so much to holidaymakers. They have everything from delightful coves and fishing villages to wonderful archaeological sites and bustling cities and towns. There are many museums that focus on the various historical periods, many cafes, restaurants and bars. The beaches are not striking in some areas, being narrow and rocky, but there are sandy beaches to be found – the most notable and largest at Mellieha Bay in the north of Malta. It has been described as one of the best beaches in the Mediterranean. The Maltese language is fascinating, with words stemming from the many past invaders’ languages. The Arabic sounds are prevalent, with some words being more like Italian. ‘Thank you’ for example is ‘Grazie’. Most people on the islands also speak English, which is taught in all the schools. This is definitely a bonus for us, as neither of us speak Maltese! Previous One Day Spent In Malta… Already! This post was truly Marvelous, Millie. Thank you for the tour! It’s worth the wait to see you, Marvelous Millie! So much history packed onto such a small island — such is the risk with being strategically placed. I’m always heartbroken to think about how many wonderful historic buildings must have been lost when I look at pictures of war destruction like that one. But it seems like you were able to find plenty of of archaeology and history in the museums. Sounds wonderful to me — and I wouldn’t go to the beaches anyway! You mention restaurants, how was the food? With the influences you mention on the languages, that combination on the cuisine sounds like it would be delicious! Food served at Maltese restaurants is very varied, Joy. Some can be simple, like omelettes, or different meats, but there are also a lot of Mediterranean-style fish dishes to try out. And, being so close to Italy, pizza and pasta meals are popular with tourists and locals alike. You’re right about the horror of the bombing. So much of the Maltese heritage was lost – and so many people killed. so much history, very complex and you made it come to life!! Love the pictures and can’t wait till you are back and we can see more! I had actually been thinking of visiting Malta next year so your fascinating post is very timely and helpful. Malta wasn’t mentioned in Australasian school history lessons!! Aussies know so little of this country yet we have many people descended from Maltese immigration, post W W II. Geoff Fenech, a very successful boxer for one! I wondered how the country is coping in the current refugee crisis? We met one lovely old Maltese-born lady, who was visiting her family from Australia, where she’d lived for forty years. She told us that many Maltese people live out there.As for the refugee crisis, people don’t seem to be talking about it as much as they were last year. Apparently the problem is more in the south of the island, and we were based in the north. Last year it was mostly Sudanese refugees, and I know there were camps to house them. It’s hard to know whether refugees are integrating in cities, particularly Vallett, which is such a cosmopolitan place. There are people of all races walking round, though I suppose many of the will be tourists, like us. Malta isn’t a coumtry generally taught about in Britain, either – other than in the history of WW2. I’ve never taught about it in geography, but suppose children could choose it as part of individual topic work. Once again I get a proxy tour of another fascinating place. Thanks Millie! Glad you had a great time 🙂 Have fun catching up! Very interesting Millie! Looks like a fabulous trip for you and your husband! Thanks, PJ. We got home on Saturday night, and I’ll probably be spending all this week catching up with posts I’ve missed.We do enjoy going to Malta. There’s always so much to see – even though this was our fifth visit there. The history of the three islands is incredible.A week of sunshine is always nice, too. I’m really impressed and inspired by your research work, Millie. You are so organised! I was wondering if you could give me some tips about researching a place (as in a city or some famous spots in it or a county on the whole.) In January 2016 I’ll be going to Malaysia, Thailand, Cambodia, Bali. Vietnam and a few more places around them. And I really want to use this opportunity to use this vacation for writing purposes. I’m not into a lot of technical stuff, but I’d definitely like to have places and characters of a particular place in my next book. So can you please tell me how to do a basic research or study of these places while I’m vacationing. Any pointers will do as I’m a real ameture in this department. I agree, it’s really quite exotic there. 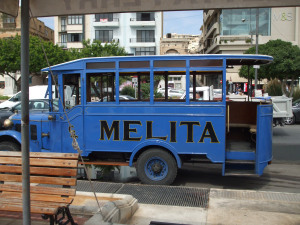 Will the mellifluous Melita bus take you directly to 10 Downing Street, or will you need to transfer? And such a prestigious award being awarded to an island is something that every Maltese would be proud of. But the heart wrenching sight of the bombings – it is difficult to even imagine how normality would have been disrupted from life for so the next so many years.